If you are interested in buying a wood pellet stove to save money on heating, then thinking about the installation might be giving you a headache. Read through our easy to follow guide on how to get the installation just right. As the price of fuels used in heating is expected to continue to rise, you may be concerned about this as we head into winter, and trust us, you are not alone. Many people out there are looking into alternatives to oil, with the view to saving money. 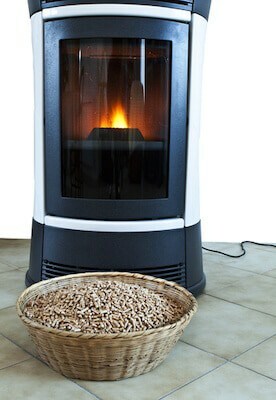 One of the best available at the moment though is one that you may not even have considered yet – a wood pellet stove. Whether you have or haven’t looked into this efficient and cost-effective form of heating before, in the following post we will discuss important information like how much it actually costs, but we will also look at the complete installation process. Where to Avoid Installing it? Where are you installing it? Choosing the best place to install it will keep the costs down. Do you already have a fireplace? If you do, you may not have to buy a complete stove, as you could probably just buy a pellet stove insert. What is the type and size of pellet burner you are looking for? Finally, you also need to consider whether you are going to install the stove yourself or hire a professional. If you do decide to buy a pellet burning stove and are planning on carrying out the work by yourself, then this is the guide for you. Recommended Reading: Discover the most efficient pellets for your burner as we list our favorite manufacturers. Now you’ve invested in a new stove, and are eager to get it on and using it to save money on heating. Now though, you have to work out where you are going to install the wood pellet burner. The positioning of the stove is crucial to the safety and efficiency. To help you decide, we will look at various possible locations you can store one. Beside a Stairway – Another ideal place to install your stove is beside a stairway because it will be more effective at heating the whole property when it rises. By placing it near a stairway, the open space will allow the heat to travel unobstructed. This kind of heater will require a blower feature and some kind of warm-air ducted heating system though. Inside an Adequately Insulated Basement – Placing your burner in a well-insulated basement is another great option, for very much the same reason as placing it beside the stairway, as the heat will be more easily distributed as it rises. It is also a great addition if you spend time in your basement, whether it is when dealing with laundry or DIY projects. Similarly, to when placing it near your stairway, you will have to invest in a blower or a stove with a blower feature and some kind of warm-air ducted heating system. The worst place you could install a pellet burning stove or almost any kind of burner is in your bedroom. Why is that? Most code enforcements and towns do not allow for one to be used here. Even if it is okay, they can be quite loud when fully operational and therefore, not ideal for placing in the same room where you will be sleeping. Finally, most insurance policies will not pay out if the stove causes a fire. Obviously, this will add to the cost of your installation if you don’t already have many of these items. It may be necessary to also invest in a moving cart if the stove is particularly heavy and bulky. So, you now have all the tools and equipment you need and know where you are going to place the stove. What’s next? In this section, we will go through the installation process step by step. First, place a non-combustive, code-approved heart pad down that your stove can be placed onto. The pad should extend roughly six-inches in front of your stove and five to six-inches out from each side. Next, you need to consult the user’s manual that came with your stove to see the correct diameter for the hole and then cut appropriately. Now, use your stud finder to make sure you can install the vent without hitting an obstruction such as existing wiring or piping. Use your utility knife to cut into the interior wall and then your jigsaw into the outside siding. After that, you can then install what is known as a vent thimble. The vent thimble is a special sleeve that the vent can be slid into the hole you created. You then need to install the pellet stove pipe that has been recommended by the stove manufacturer and run this through the thimble and outside the property. After this point, you need to install the vent pipe on the outside to ensure you can clean pellet ashes from your stove. The instructions for this are highlighted below. To install the stove, you need to start on the inside first, fitting the short, horizontal part of the pipe into the wall until the end is approximately two to three inches out from the wall. You now need to apply some adhesive, making sure you have construction adhesive, over the flat portion of the collar that needs to be affixed to the wall and then slide it over the pip and flush against the wall. Now, take the vertical section’s lower end onto the flange that comes out of the stove’s top. Then attach the elbow’s opening end to the vent pipe’s inner end, snapping them together. You can then attach the vertical pipe’s lower end to the flange to the flange using three screws, driving one through the front edge of the pipe and the other two into either side. With all this in place, you can then move onto the external wall. Using the adhesive again, place it onto the flat part of the collar and push that collar onto the horizontal pipe and press it against the wall firmly so it is nice and flush. Finally, attach the round horizontal cap to the pipe’s end snapping them together. So that you have a backup source of energy, you may wish to use a stove sentry battery device as a back-up or something similar. Place the device’s interface between the AC wall outlet and the stove. The stove sentry then is connected to the battery, the AC power outlet, and the stove. If the AC supplying the stove with power cuts out, the sentry will start up and prevent your stove from stopping. You now know how to install a pellet stove properly. However, we are not finished yet, as there are some precautionary aspects of the installation that you need to consider before you carry out the instructions above. Firstly, you need to ensure that you are going to inspect the stove regularly to ensure it is functioning properly. This involves checking the combustion chamber and the vent for any signs of damage or corrosion. 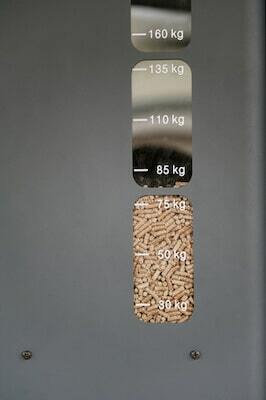 Secondly, you need to be sure to only use wood pellets that are recommended by the user’s manual and manufacturer of the stove. This will ensure the stove always operates efficiently. You will know it is not running as efficiently as it should be when it generates more smoke than usual. Thirdly, you need to make sure you safely dispose of your ashes, by placing them into a metal lidded container. Never place them in your garbage can or close to any flammable items. Always store them outside and as far away from your property as possible. N.B. – Make sure you have the necessary clearance from nearby walls and obstructions (found in the manual) and are not violating any local codes or regulations. As well as generating costly fines and other legal issues, it could void your home insurance. 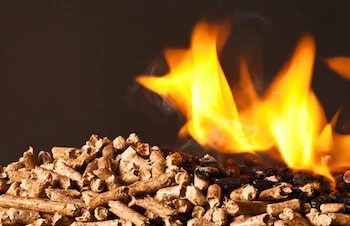 Wood pellet stoves eventually yield an excellent return on investment, so even though the initial price for installation may seem rather expensive, your energy and heating costs will dramatically decrease in the long run. By following our instructions on how to install your pellet stove and how to vent a pellet stove, you will be left with an effective and efficient way to heat your home. Check us out on Facebook and Pinterest to see more like this on a daily basis!